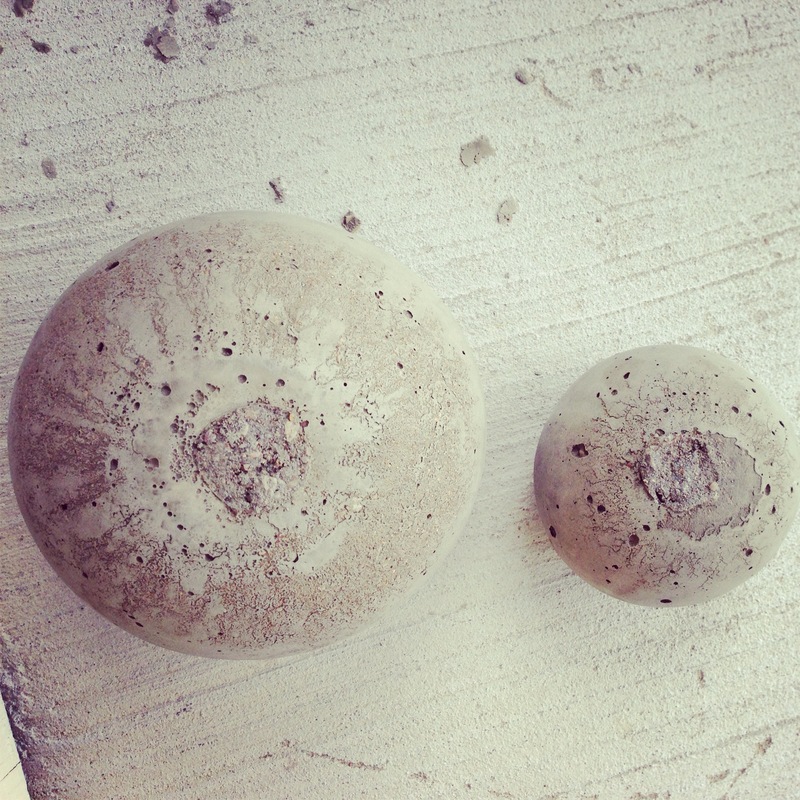 Drew had his eye on these stone spheres at Restoration Hardware, but couldn’t justify spending $100 for two. Our knockoff? Less than $8 for the set! 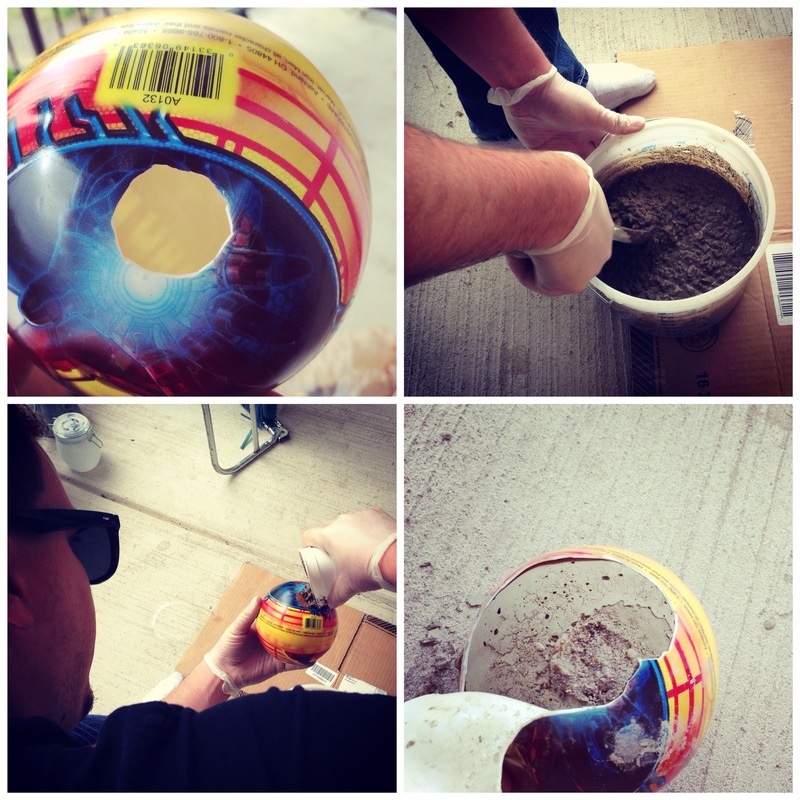 Cut a hole in the ball (just big enough to funnel concrete inside). Mix up concrete (according to directions on package) in your disposable container. Funnel concrete into your mold. Placing the ball in a bowl will help to keep the bottom from completely flattening out. You may need to add a little more concrete as it settles in the mold. Smooth off any excess concrete. Let concrete dry overnight. Carefully cut a slit in your mold and peel it off. Use sandpaper to smooth any roughness off of the top. Rinse with water to get rid of any lingering concrete dust. That’s it! Such an easy (and inexpensive!) way to create a solid statement piece for any table or desk! This is a great idea. I really want to make a couple of larger ones for spy garden! Great job! These would be perfect for a garden! What a neat idea. 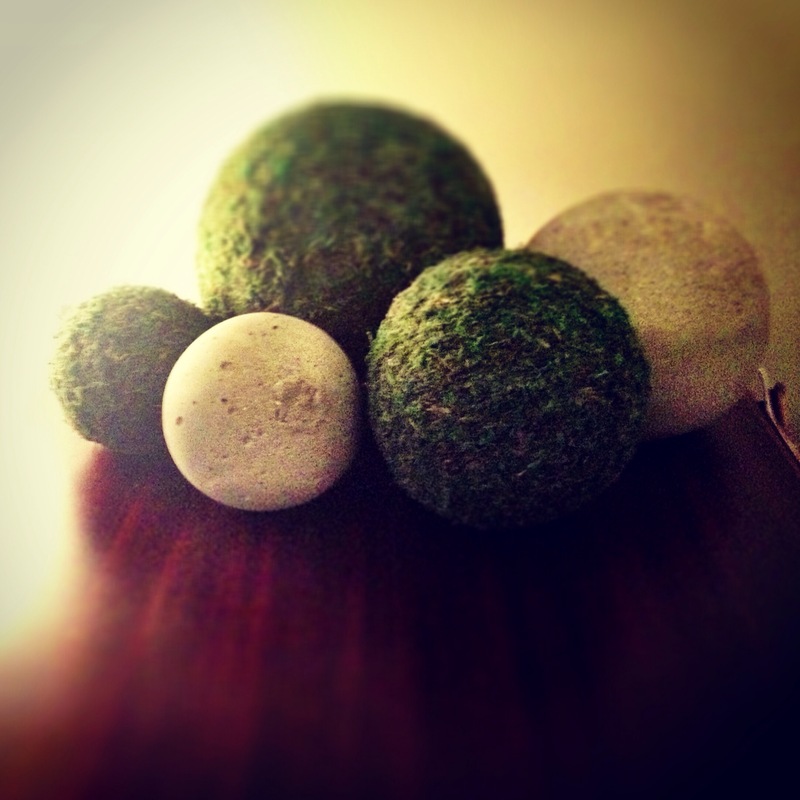 Now which of my daughters’ balls can I use without them noticing….. Very cool. Someone needs to try making one using a large bouncy therapy ball. Love this! Are they very heavy? ~M. They really are quite heavy! 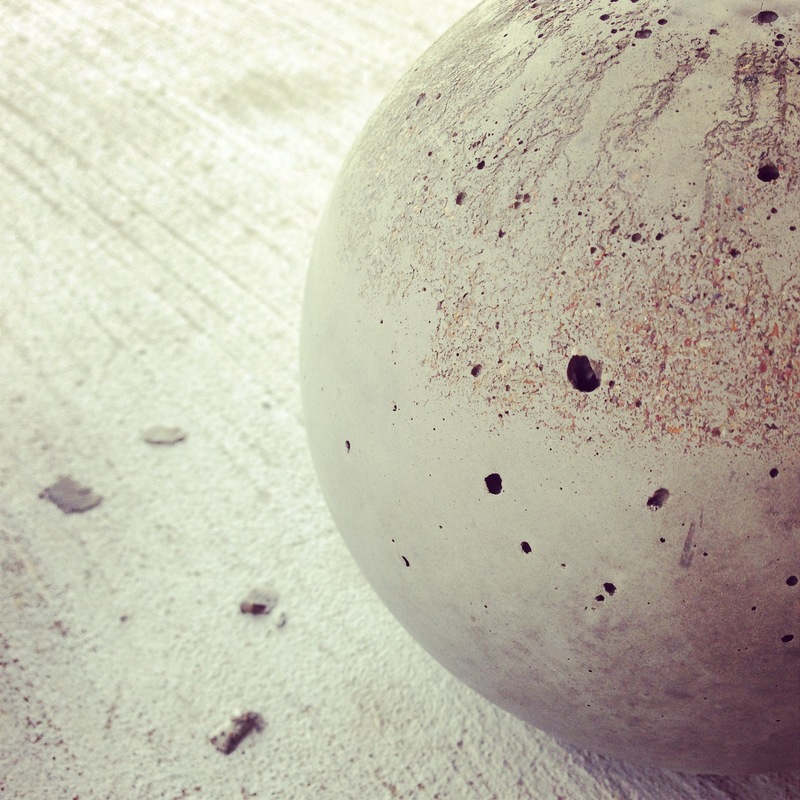 We used over 1/3 of a 60 pound bag of dry concrete mix for the two balls in this project. It’s worth a try! I will say that the bottom of the larger one that we made did flatten out a bit (from the weight of the concrete) as it was drying. oh thanks, that’s good to know. Maybe rotating while drying would help.